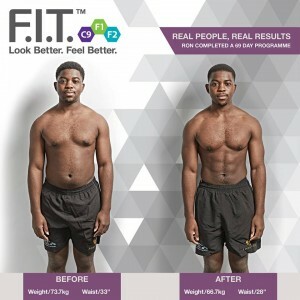 Ron took the Clean 9 and Forever Fit 1 / Fit 2, 69 Day Challenge because he used to be fit but only goes to the gym once a week now – and only for half an hour! You can see the changes he achieved from the photo, but follow his story to hear everything. Why did you lose your fitness in the first place? I think I’ve used my busy lifestyle as an excuse for not going to the gym and not eating well. Now, I’m feeling a lot better and seeing a lot of muscle definition and I am much more active in the gym an going cycling. 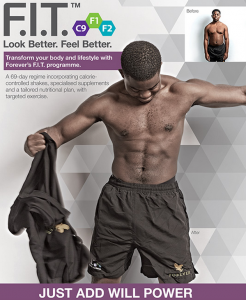 How has the Forever F.I.T and Clean 9 programme helped? I think the programme has helped me by changing my mindset, I’m eating better, going to the gym more and cycling a lot which is really helping me as well. It has changed my thinking about exercising and eating better and how to incorporate that into my busy lifestyle which is easily achievable with this new F.I.T. programme. How did you feel at the end of the programme? I felt over whelmed when I saw the photos – I was really impressed with my self – I lost 7kg and 5 inches. Now it has become a lifestyle thing for me. Eating well and using the supplements and the Aloe Vera Gel is something that is going come naturally to me. So I think going forward it has helped in eating better, exercise and obviously looking and feeling better at the same time.